Healthy Vegetarian Snack in Convenient Re-Usable Packaging . Flax seeds are useful as part of a weight loss diet. Flax Seeds are high in both soluble and insoluble fiber. 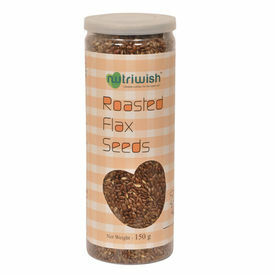 Flax Seeds are diabetic friendly and are a rich source of omega fatty acids.